Eden Island offers three types of island real estate for sale in Seychelles; apartments, maisons and villas. Enquire now for more information. 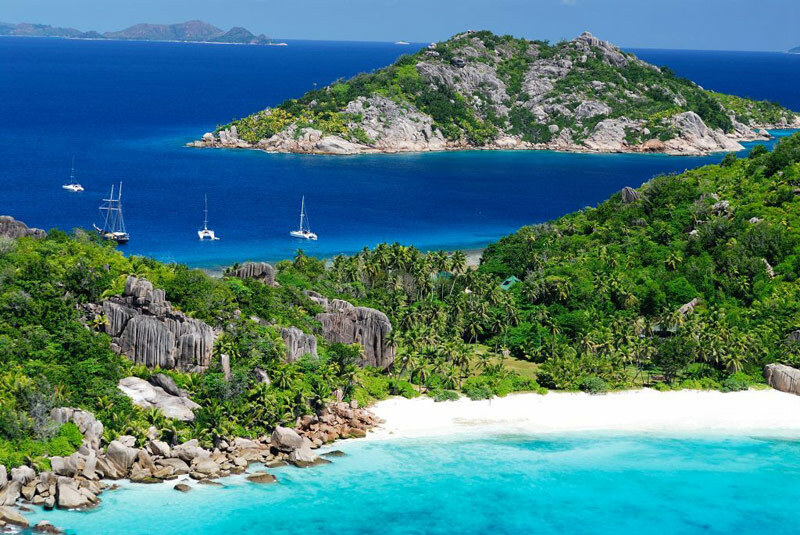 Eden Island is a reclaimed land mass located in the Seychelles archipelago. This Indian Ocean country is situated off the east coast of Africa and enjoys a moderate climate throughout the year. Showcasing all of the modern amenities expected of a luxury residential development, Eden Island also boasts an international deep-water marina. This incredible facility has been the host to several yachting events and races since its opening. It’s also one of only a few island marinas world-wide that can cater for super-yachts of up to 100m. Over the past few years, the Seychellois government has focused on promoting island real estate and holiday property for sale, in order to encourage foreign investment. As a result, the number of both foreign and local investors interested in the country has grown significantly in the past five years. The design and development of the archipelago’s 116th island, Eden Island, has been a critical driving force behind this investment attention. The size of this luxury residential development is approximately 56 hectares and is accessible by both water (via the marina) and road. Eden Island is connected to the main island of Mahé by the 300m Eden Bridge, which makes it easy to reach from the international airport (15 minutes’ drive away). Contact Eden Island for more information about island property in Seychelles. Natural scenic beauty - Seychelles is considered one of the world’s most idyllic paradise settings. The country has dedicated much of its land mass to conservation and wildlife initiatives, as it is home to some of the world’s rarest fauna and flora. Once you own luxury property here, it’s easy to attract the affluent rental market due to the healthy tourism industry already in effect. Eden Island in particular offers a rental pool that is administered by the Rental Pool Management Company on behalf of owners who are abroad. This provides consistent returns for buyers who’ll only visit the island a few times a year. Sound government policies - The Seychellois government continues to establish legislation that protects both the interests of the country (especially in terms of natural resources) and encourages foreign investment. In the real estate sector the government offers subsidies and tax relief to investors. Additionally, legislatures have established sound property ownership laws. Developed Infrastructure – Availability of a well-established infrastructure directly affects the marketability of real estate. Seychelles has a well-developed communications and transportation network, especially when compared to other Indian Ocean archipelagos. As mentioned, the country is accessible by water and air, while individual land masses offer road transportation. There is currently a communications upgrade underway with an under-water Internet cable being developed. This will increase the country’s telecommunications capacity greatly within the next few years. Security – Many of the Seychelles islands, such as Eden Island, boast low crime rates. Some even as low as zero percent. Buyers from around the world come to Eden Island regularly, investigating these lucrative island real estate investments. Get your share by contacting us today.